Disclaimer – This post contains affiliate links. We may receive commissions based on sales. Anyone who knows me knows that I absolutely love upcycling things I do it whenever I can. If I can make something different from something that I already have and don’t need – to me that’s something to be excited about! I’m excited to share this project! 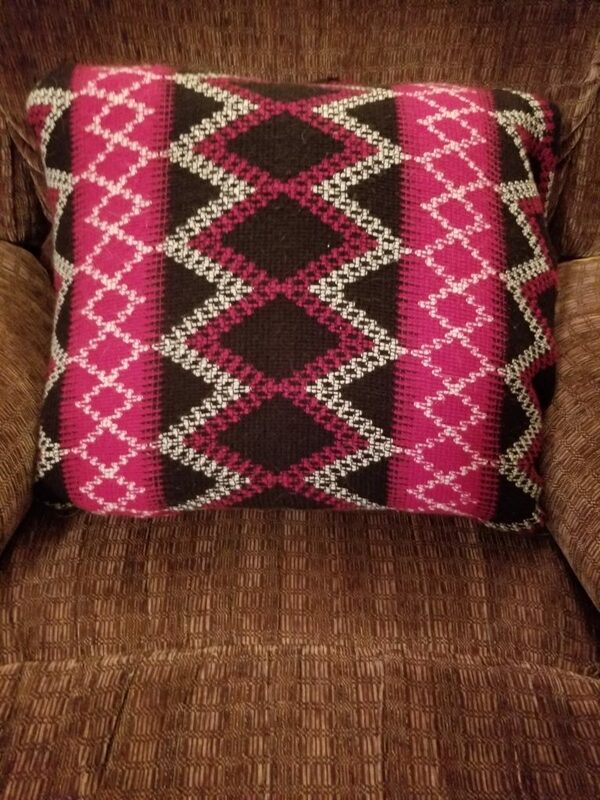 A sweater pillow – I am so happy with the end results. While I was going through my husband’s clothes looking for things he no longer wears to make some room in the closet for more of my things, as you do. 😉 I found a few shirts that I didn’t want to give to the thrift store. One of the shirts I found was the one my husband was wearing the day we met, more than 10 years ago. I wanted to do something with it because it’s kind of special. 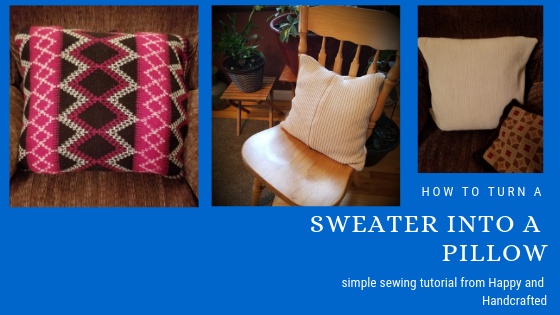 I thought I would be a good idea to make this myself after seeing many posts about sweater pillows before. What I found was that if you’re even a beginner sewer, this is quite an easy project. 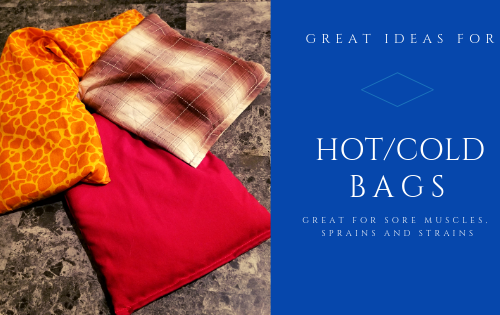 You don’t even really need a sewing machine for this project. It could be done by hand but, it would take quite a bit longer. The base was a pillow that I made using a pillowcase I didn’t want. The stuffing for it was from the ends of crochet project that I had been saving. I feel proud to add that this project cost me nothing to make because I used what I had…I love that! 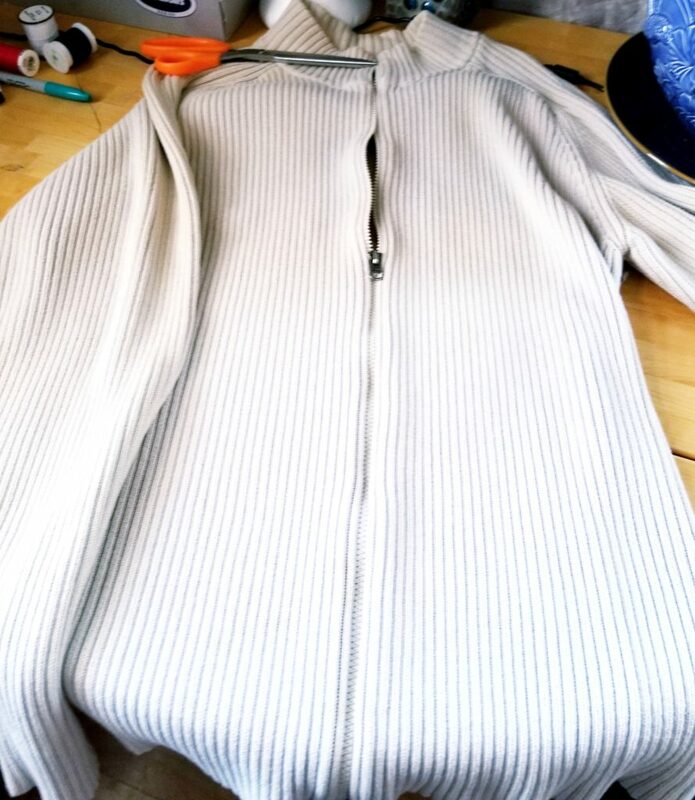 This particular sweater had a full double zipper which made me a little nervous but, was no trouble in the end. 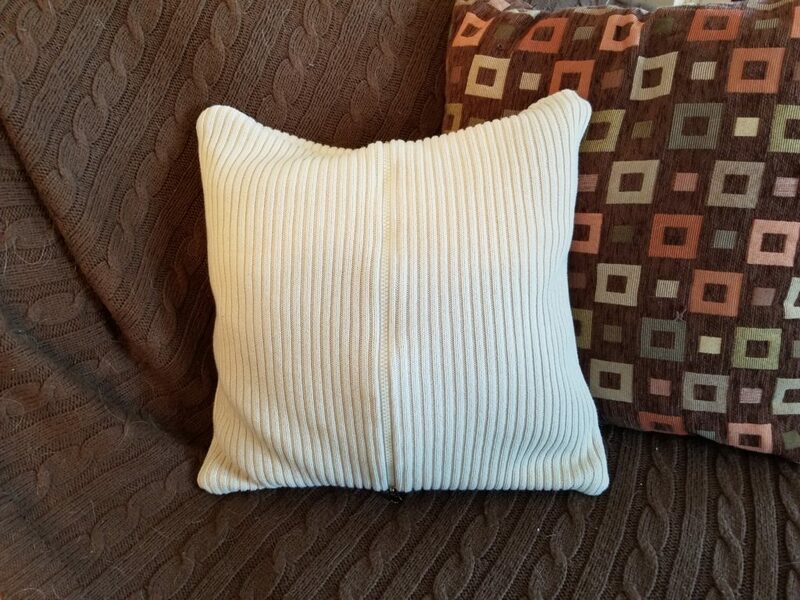 I measured the pillow and allowed for a seam allowance of about half an inch. Then marked the sweater front and back making sure the zipper was in the centr. I cut both pieces out and placed them wrong side together. 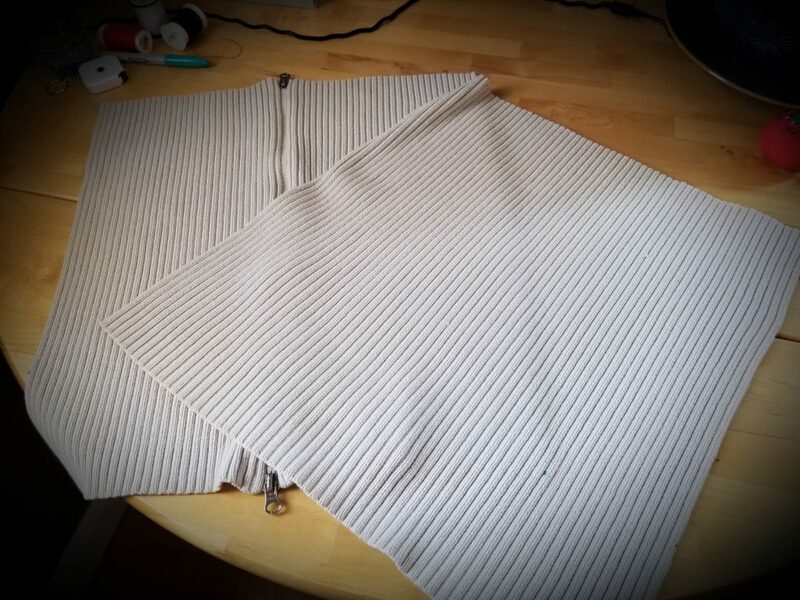 I started sewing at the bottom zipper and sewed up to the top zipper and repeated on the other side leaving a small gap at both ends of the zipper. 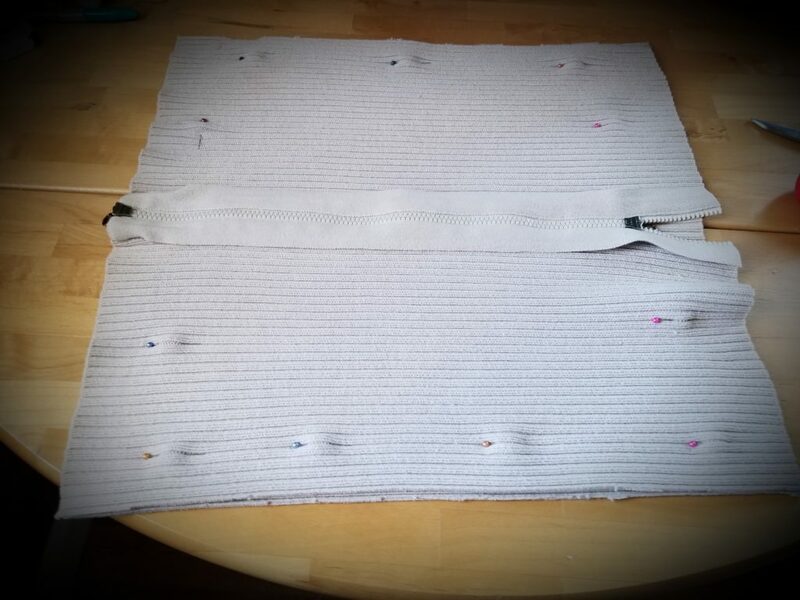 After turning it to the right side I opened the zipper, put the pillow in and closed it. I sewed the zipper ends up by hand and wound the thread around both sides of the zipper to keep it together. 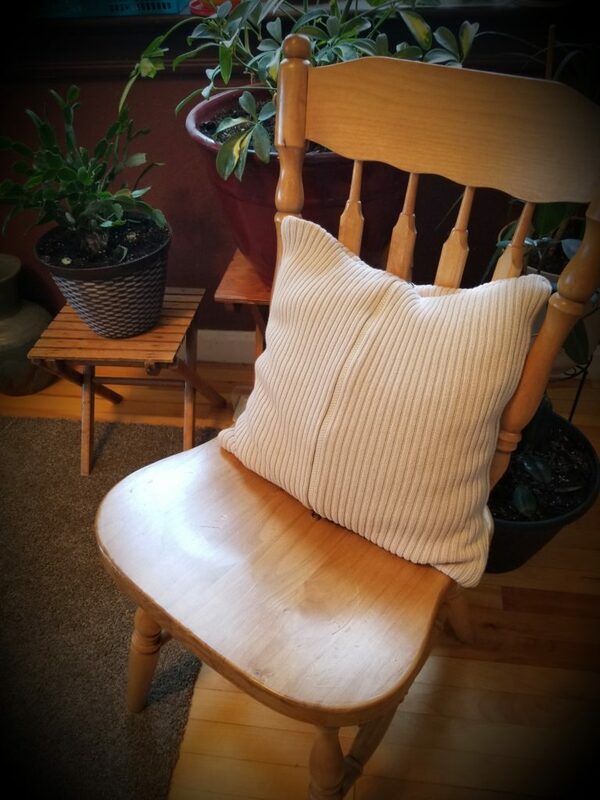 Update: I have made some more shirt pillows and I am so happy withhow they all turned out. Wow, thanks for this! It’s so beautiful & useful. I’m now going to find some used sweaters. What a great idea for cozy winter decor! Nice way to recycle those favorite old sweaters.